Wildlife biologist who enjoys traveling to America's beautiful places in an RV. If you are ever in the Florida Panhandle, you have to stop at Topsail Hill Preserve State Park. I have been coming here for years as a visitor and the past four volunteering in the campground because I love it so much. The campground used to be a private RV park so there are lots of amenities with really nice campsites but once you leave the campground there are over 1,600 acres to explore and 3.2 miles of pristine white sandy beaches to walk on. The park is divided into three sections: the RV park, a 22-site tent-only section, and 32 one and two-bedroom bungalows and cabins for rent. There are 156 RV sites that are level and a mix of paved and crushed gravel with full hook-up and cable television (75+ channels). Park roads are paved and easy to navigate in any size RV. There are plenty of tall trees for shade and bushes that provide privacy. There are no fire pits but you are allowed to have a fire if you bring your own pit. The fair majority of sites are back-in but there are a handful of pull-thru sites and all are level. The water sewer and electric hook-ups are all well-placed at the site and there is a light at the end of each driveway. There are 22 tent sites with an elevated gravel tent pad, fire ring, water spigot, and 110 electric hook-ups. Most of the tents are set under tall pine trees while a few are more in the open and are sunny. A concessionaire offers “glamping tents” with beds, lamps, carpet, chairs and outdoor furniture. There are also one and two-bedroom cabins that can be rented year-round. Within the park is a free wifi hotspot, a non-heated swimming pool, beach access with tram service, club house, camp store, bike/kayak/canoe rental, laundry, amphitheater, shuffle board, and a host of park activities and ranger-led tours. The restroom and laundry facilities (which are only $1.50 per wash/dry) are clean and seemed adequate to handle the crowds. The campground is located ¾ mile from the beach which is accessible via a walking/biking trail or a tram operated by the park. During the winter months the tram runs every two hours, but during peak season it runs once an hour. Once you are on the beach you have miles and miles of unspoiled white sand and blue water to enjoy. There are also numerous ponds and coastal dune lakes scattered throughout the campground for the fishing enthusiasts. The coastal dune lakes are a globally rare ecosystem occurring in only a handful of places around the world and definitely worth exploring (which you can do with watercraft rental). Nearby are thousands of acres managed by the state forestry department which have miles and miles of hiking trails. The park is located within a mile of a Walmart (with food), gas station, Subway and other restaurants. Within 5 miles are tons of shopping opportunities, movie theater, restaurants, grocery, etc. What we really liked about this campground are the level, paved, full-hookup sites and the fact that it is in a state park so you have access to miles of hiking/biking and a gorgeous beach. The beach here is the most beautiful in Florida and can be completely empty in the winter. The not-so-good things about this park are the cost and how crowded it can be in the peak season. During peak season this park is very busy and you have to book very early. The cost is $42/night (unless you are a Florida senior resident and then it is half price) which is high for state parks . . . but compared to other private parks in the area that is reasonable. As a Ranger for TheDyrt I occasionally get outdoor products to test and on this trip I was able to test a High Hopes Hammock. I was pretty excited to receive a hammock because I am one of the few people I know that does not own a hammock putting me a little behind the times. One cool feature of this company is that for every hammock purchased, they donate either a hammock, various survival supplies or money to organizations helping the homeless, impoverished countries or those affected by natural disasters. High Hopes offers many different colors of hammocks many of which are bright and fun and the large selection made it hard for me to choose because I like so many of them. The hammock is lightweight at just 1 ½ pounds and tucks nicely into a pouch attached to the side of the hammock. The hammock fit perfectly into my small day pack so I took it with me on a long hike and set it up when I wanted a break. I chose the hammock and strap bundle which is $10 more than just a hammock but definitely worth it (bringing the total without tax to $59.99). The straps are 9 ½ feet long with 15 loop holes so you can make this fit in a lot of different locations where trees may be pretty far apart. The hammock is large at 9 ½ feet long and 6 ½ feet wide and easily fits two people or you and your furry friend. The capacity is a whopping 400 pounds so it is good that the tree straps and steel carabiners are heavy duty. The setup is super easy as you just wrap the straps around a tree or other supportive post and clip the carabiner into the loops on the strap. Then, in you go. Once inside you can use the attached Velcro to close the hammock so you feel like you are in a cocoon. This is also a nice feature if you want privacy. The Velcro closure may help keep some pesky insects out but not all as there are only three Velcro patches which leaves gaps. Click here for my video review. The downside of this company is their customer service. I was on a “live chat” with them and when I asked about a mix up with an order they went totally silent and I never got another response. I tried emails and those went unanswered. They offer various promotions online and discounts if you sign up for their email list. They were advertising free two-day shipping on orders over $50 which is great but keep in mind there is processing time which in my case was about five days. In addition to hammocks they sell clothing, accessories and hats. There are a lot of hammocks of this type on the market but High Hopes sets themselves apart from the competition because of their involvement helping those less fortunate. Since I haven’t owned another hammock, I can’t attest to quality differences but this one seems to hold up well so far. Fort Pickens Campground sits on a peninsula of sandy land that lies between the Gulf of Mexico and Pensacola Bay so you know this place is bound to be beautiful. The campground is part of Gulf Islands National Seashore and has gorgeous white sandy beaches. There are lots of things to keep you busy in this park besides sitting on the beach or playing in the clear blue water. There are plenty of hiking/mountain biking trails which are part of the Florida National Scenic Trail. The shallow waters in the bay are great for surf fishing and kayaking and there are many access points. The park has a nice museum that describes the history of the fort and impacts of hurricanes (especially Ivan which destroyed the area). Ranger-led tours occur during the year and are very fun and informative. We went on a full moon night hike where the ranger talk focused on astrology and how moon phases impact some animals. Many parts of the fort and old batteries are open and available for exploring. Climbing on top of some of these areas offers spectacular views of the bay and gulf. The campground is separated into two sections that make up five loops containing 180 sites. Campsites have paved driveways and grassy/sandy patios with 50/30/20 amp electric and water (but no sewer). There are picnic tables and fire pits at each site. Bathroom/shower buildings are scattered throughout the loops and were cleaned daily by volunteers. These buildings are heated which was much appreciated during the cold weather we experienced when camped here. Reservations can be made online (and should be made early if you plan on coming during the busy spring and summer seasons). It is best to check the park’s website before your visit because sometimes they have to close the road to the campground due to sand and water on the roads. We prefer to stay in Loop A because there are way fewer sites in that section and you don’t get the feeling of being crowded like in Loops B – E. There is also more shade in Loop A which is very welcomed in the summer. The campground is about 10 miles from the nearest convenient store or restaurant so it is best to stock up on groceries before you come. There is a camp store that has a wide selection of food items, souvenirs, baits, and beach supplies. Campsites are a short ¼ mile from the gorgeous beaches. Just before entering the park is a great seafood restaurant called Peg Leg Pete’s. Venturing into Pensacola you will find an amazing seafood market called Joe Patti’s, the Pensacola Bay Brewery, and the Naval Aviation Museum (which is free), the Pensacola Lighthouse, a minor league baseball team, and other interesting historic sites and attractions. If you are there at a time when the Navy’s Blue Angels are flying, you will see them directly overhead and it’s a great sight to see. I tested the Renogy E. Lumen Solar Powered Flashlight out at Fort Pickens which can get pretty dark at night. The campground is far removed from any city lights as it is 10 miles out of town on a skinny peninsula of land and this item came in handy walking around the campground at night and in the early morning. 2000mAh lithium-ion battery with charge level indicators. I left the flashlight in the direct sun for a couple of hours and it had ample charge when I used it later that night. They advertise that it will hold seven hours of charge. Super strong side magnet so you can mount it where you want and it will remain in place. I put it on the side of my car and it held fine. Heavy duty aluminum construction and water resistant which makes it great for taking with you in your canoe or kayak. Multiple emergency features such as an alloy glass-shattering hammer and seatbelt cutter to help you escape from a vehicle. The seatbelt cutter is well protected so you won’t accidentally cut yourself. Compass for helping you navigate. The compass is pretty small and is just divided into N, E, S, and W and does not have degrees so it will help in general navigation but not specific direction. USB input/output cable is a great feature that allows you to charge the flashlight or small electronic devices like your phone or tablet. I used the USB cable to charge my phone and the flashlight had good charging power. 200 lumens for the high beam flashlight which provides a powerful light that illuminates up to 200 meters away. The side white light has 150 lumens and is great to put on a picnic table while setting up your campsite in the dark or for reading at night. The lightweight, compact design (10.9 ounces and measures under 7 ½ inches long) is perfect for storing it in your car or stuffing it in your backpack but a little too long and heavy to keep in your jacket or pants pocket. The light does come with an instruction manual but the print is very small and I had trouble reading it even with reading glasses on. This flashlight retails for around $25 and I think it is well worth the price. The fact that it is solar (and has a USB charging port) means no more having to buy batteries. I also like the USB port which will charge small electronic devices like phones and tablets. This would make a great gift for anyone who likes to camp or just needs a really good flashlight around their house or in their car. This is one of my all-time favorite campgrounds. Florida has a lot of great state park campgrounds and Grayton Beach State Park is definitely one of them. What is not to love about having a great full hook-up campsite, set on a beautiful lake with amazing sunrises and sunsets, and being within walking distance of the most beautiful beach in Florida. The campground is divided into two loops – one that is old and more rustic and the other is newer. Our favorite spots are 39 and 46 in the new loop and 10, and 18 in the old loop. The older loop (sites 1-36) are sandy sites set amongst trees providing privacy and shade. They have 30 amp electric and water but no sewer and are ideal for tents. Some of the sites in this loop are right on Western Lake giving you direct water access and gorgeous views. Roads and campsites here are sand so be prepared to get lots in your tent or camper. The newer loop (sites 37-59) has crushed gravel campsites, paved roads, and full hook-ups (50 amp). Each loop has a bathroom with shower facilities that were cleaned daily by the camp hosts and are heated. There are also cabins available for rent and all reservations can be made online at Reserve America. The campground is within walking distance of the beach but there is also a parking lot if you want to drive which is a definite advantage if you have lots of beach stuff or kids. At the beach, you will find restrooms, vending machines, and an ADA beach wheel chair. There is a really nice boat launch providing access to Western Lake which is a globally rare ecosystem found in only a handful of places in the world. Picnic tables and pavilions are scattered throughout the park near the beach and lakeshore. Within the 2,000-acre park are lots of hiking trails that wind the coastal dune forest and the pine flatwoods. The park abuts a state forest which offers many more miles of hiking/biking trails. One of the reasons we like camping here so much is because we love the funky town of Grayton Beach which is just a short bike ride away. Lunch and a beer at the Red Bar is a must. We also like to ride our bikes to the nearby town of Seaside which is a pretty little “New Urbanism” town where everything is within walking distance. There is a row of Airstream food trucks, a large amphitheater that has free concerts and movies, a great market with prepared foods and good wine, boutique shops, and plenty of restaurants. This park has become very popular over the years and with only 59 campsites it fills up fast. There is a two-week maximum stay and if you want to secure two weeks you should book early (which can be 11 months out). As a Ranger for the Dyrt, I get to test outdoor gear and equipment from time to time. On this trip, I tried out Boost Oxygen. I spend a lot of time jogging on the beach and find that the soft sand can be quite taxing on my body and provide a great aerobic workout. After a workout seemed to be the perfect time to try to Boost Oxygen which claims to help your body recover after aerobic activity. Admittedly, I was a little skeptical that a few hits of canned oxygen could really have that much of an impact on your recovery time. But, it was surprising how just after four hits, I felt less winded and got my breath back. I found that if I took really long deep inhales of Boost it worked better than shorter ones. The process is simple you just place your face in the mask, press a trigger, and breathe deeply through the mouth. You take as many hits as you feel necessary. So no more having that feeling of “being winded” or needing to “take a break” from your physical activity. Boost comes in three sizes (pocket, medium, and large) and since oxygen is weightless, the can is very lightweight and easily transportable (but, be aware that this product is not allowed on an airplane). I prefer the medium and pocket size which fits perfectly in my day pack and offers plenty of oxygen for what I need. Ingredients in the can are 95% oxygen and 5% aroma or ambient air. Boost also claims that their product helps in high altitude and where air quality is diminished, recovery from hangovers/fatigue/stress, and improves your body’s overall health and wellness. One of the problems with diminished oxygen during exercise is muscle cramping so Boost could alleviate that condition. It comes in different “flavors” which are pink grapefruit, peppermint, menthol-eucalyptus, and natural. I tried the natural flavor but would be curious as to what the flavored ones would be like. Oh, and don’t forget to recycle your can. For a video review of this product click here. Overall, this campground ranks as another great Florida state park campground. Sites at Henderson Beach State Park are large with plenty of space between them and vegetation to provide privacy. Within a five-minute walk from our site (#44) we were on the white sandy beach gazing at the amazing emerald green water. And while you feel a bit isolated among the dunes and coastal scrub habitats, the park is located in the heart of Destin so there is shopping, restaurants, entertainment, and anything else you want within a two-minute drive. Walmart is literally right across the street. There is a peaceful quiet feeling when you are in the park but there is a bit of chaos outside the gate because Destin is a popular beach destination (and especially crazy during spring break). We camped here in early January when the crowds were minimal. Campsites cost $30/night (unless you are a Florida senior resident in which case you get a 50% discount). The park has 60 sites that can accommodate RV’s up to 60’. There are 20 very long pull-thru sites but most of those sites are back-in. Pads and patios are packed gravel and offer 30 or 50 amp electricity and water but no sewer. There is free wifi and it worked pretty well at our site. There are four campground loops with bathroom/shower buildings and laundry facilities being located conveniently between loops. The bathrooms were clean but chilly (even though they claim to be heated). There is no sewer at any sites but two dump stations are conveniently located in the park and easy to access. Roads are paved and wide enough for even large RVs to easily maneuver. Sites are level. Patios are an extension of the gravel pad and come with a picnic table, fire pit, and clothes line. The patios are quite large and we enjoyed the privacy of our site immensely. Our Verizon 4G phone and hotspot worked great and we had a clear view to the sky for our satellite television. Our television antenna picked up a few channels but only one major channel (CBS). What we really liked about this campground was the proximity to the beautiful beach yet with all of the amenities Destin and the surrounding area have to offer. We took advantage of shopping, restaurants and movie theaters that were all within just a few miles. But the best thing about this park was the privacy that our site offered. We backed up to a wooded area and felt isolated from the view of others. The not so good things about this park were the lack of sewer and the road noise. The park sits right off HWY 98 which makes for convenient access but some sites closer to the road may be bothered by the noise from this busy road. Since we were here in the winter and experiencing record low temperatures, we kept all of the windows closed and did not sit outside much so the road noise was not an issue. I also imagine the beach at this park could be very crowded at times since there is plenty of access for the public. This campground is definitely geared towards RVs but you certainly could pitch a tent on any of the sites. Tips: If you have a dog, there is a public dog park about 1 ½ miles away. The campground is large enough to get a good dog walk in and there is a ¾ mile trail they are allowed on. But, dogs are not permitted on the beach. 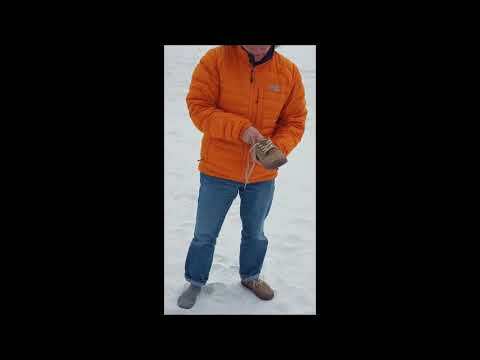 As a Ranger for The Dyrt, I get to test outdoor gear and on this trip to Henderson Beach State Park, I tried out a pair of TredAgain Wilshire Shoes. The name TredAgain comes from the fact that the soles of the shoes are from recycled tires. I love the look of these shoes which look great with a pair of jeans. They have a casual look and are nice quality shoes with rugged rubber soles combined with premium suede uppers. Inside the shoe is the insole that TredAgain describes as a “removable anatomical footbed.” The insole doesn’t have the arch I prefer for my high arches but you can remove it and put in orthotic inserts. I was skeptical that recycled tires would be soft and flexible but they were and between the insole and the rubber soles the shoes are very cushiony. The tread is fine for walking around town and on easy trails but I would not recommend them on difficult trails or rugged terrain. I ordered my normal size and found that they fit fine in the length and width. The color I chose was beige and I really like the way they look with the darker brown piping and lighter shade of laces that are an attractive contrast to the uppers. TredAgain offers ten styles for women and seven for men with all the shoes having the recycled tire treads. The lowest priced shoes are sandals at $45 and increase to over $100 for some of their boots and they offer free shipping on all orders. TredAgain is an Austin-based company that takes pride in the fact that old tires are now being converted to a necessity like shoes and not just thrown into a landfill. As an environmentally conscious person, I do appreciate and try to support companies that are conservation-driven. My only complaints are that I would like more arch support and the shoelaces kept coming untied. Overall, the fit is really good, I like the look of the shoe, and they have a great conservation philosophy. We stopped at Cliffside Park for a short visit to break up a long drive and were pleased with what we found with this county campground. The campground is located about 8 miles from I-41/94 so while it is a little distance from the interstate, the drive was worth it because the park was very quiet and made for a nice restful evening. I read where the attendance for this park was up over 40% for the 2017 summer and every weekend was fully booked so it is very popular. We camped here in early September during the week so it was not crowded and we didn’t have a problem getting a walk-up site. When we pulled in we noticed a sign saying “no dogs allowed” but learned that did not apply to the campground. However, dogs must remain in the campground and are not permitted to be walked in other places in the park which is a bummer. The campground is a mix of those you can reserve or as walk-up sites. The price when we stayed there was $28/night, but if you make an online reservation, a $12 processing fee is assessed. All sites are the same having 50/30/20 amp electric, water, gravel pads, a grassy patio, picnic table, and a fire pit but no sewer. Campsites can fit up to a 45’ RV, and while tents are allowed, there is not a separate tent section. Each site has water but in order to reach some of the spigots you would need more than a 50’ water hose so choose your site with that in mind. The park was really well-maintained with a camp host on site. The grass was mowed, there was no trash, and the restrooms were super clean and heated (as some mornings during our visit were in the 40’s). There are some old trees that provide some shade but for the most part all sites are open and sunny. · Roads were narrow and a little hard to navigate with a big RV. As a Ranger for the Dyrt, I occasionally get to review outdoor gear and clothing. On this visit to Cliffside Park, I received a Showers Pass Women’s Portland Jacket. The weather was on a roller coaster fluctuating between the high 30’s and 70’s so this jacket was worn quite a bit. My first impression was how much I liked the overall look and pattern of this jacket. It appeared really cute on their website and I was glad it looked just as nice out of the box. Before ordering I called Showers Pass because I was unsure of the size and noticed that “clearance” items (which this was on sale from $200 to $120) could not be returned and I was afraid that I would be stuck with a jacket I couldn’t wear because of an incorrect size. I called Showers Pass and the helpful person informed me they could exchange for another size (if it was in stock) or receive a credit. She then offered to help me with sizing. I told her my height and weight and she mentioned the model on the website was about my size but that the jackets tended to run small. That was really helpful advice and I was amazed at how willing to help she was. Click here for my video review. 1. It has lots of pockets. There are two deep pockets for your hands, an inside breast pocket and an outside breast pocket. There are also three pockets inside the jacket and a zippered breast pocket. 2. There is reflective striping on front and back so you will be seen at night but it blends in well with the fabric pattern and style so it doesn’t stand out and ruin the look of the jacket. 3. On the back is a drop down portion that is there to protect your backside from water if cycling or you can snap it up under the jacket if you don’t need it. I always wear mine snapped up and it doesn’t feel cumbersome or look weird. 4. There are zippers on the cuffs and waist for comfort. The cuff zippers were very nice when it was cold and I had gloves on. 5. Zippered vents are located under the armpit which is nice if you get warm and want ventilation. 6. It is waterproof and machine washable. While this jacket does not come with a hood it is still nice to have it waterproof in case of light rain or drizzle. 1. The sleeves are a bit too long for me and because of the zippers it would not be easy to alter. 2. The forearm portion of the jacket is tighter than what I am used to. This seems like it will be a problem if I try and wear a heavy sweatshirt or sweater under the jacket. Overall, I really like the jacket and it’s the style I was looking for in a new jacket that I can wear on outdoor adventures as well as when I am out on the town. I get the feeling that it will hold up well and is high quality. We were totally surprised at how much this park had to offer! What a gem Ludington State Park is right on Lake Michigan surrounded by tall sand dunes, dense woodlands, and lakes – all of which make for a great outdoor playground. The park is 5,300 acres and lies just north of downtown Ludington (which is super cute and has a couple of great brew pubs.) The campground has three loops for RVs and tents and another area that is a walk-in tent only section. Sites in the center of the loops are more open whereas those on the outside back up to a tall wooded berm providing shade and a bit of privacy. It is a typical state park where some sites are level and some are not and they vary in length. All sites have a firepit and picnic table and easy access to the electric post. Sites don’t have water or sewer but there is a dump/water fill station on your way into/out of the park that is really easy to get in and out of. And there are some water fill-up stations in the campground. The park has modern restrooms that were cleaned daily and never a mess during our visit. We camped here in the fall, so the summer crowds were not gone but I can imagine this park is very popular in the summer. We took full advantage of the hiking trails and loved that we could just walk out our door and have access to 18 miles of trails. The hike to Big Sable Lighthouse was beautiful as it wound through the woods and out over the dunes. All the hiking trails are great but be aware that some go through areas open to hunting and we did encounter a couple of deer hunters. The other hike that is really pretty is the Skyline Trail which gives you a great birds-eye view of Lake Michigan and the giant sand dunes. Some other great features of this park are the four-mile Canoe Trail that winds through the marsh, access to bank fishing from boardwalks and a very nice boat launch, and two concession/rental pavilions where you can get food and drinks and rent paddleboards, bikes, canoes, row boats, tubes, and kayaks. The parks beach area is the biggest draw and has a large parking lot and bathrooms making access very convenient. As a Ranger for the Dyrt, I get products to test products and gear from time to time. On this trip to Ludington State Park, I tried out a pair of Oofos Women’s OOlala Sandal. The very first thing you notice about these shoes is how the thick and soft the foam is and how shock absorbent they are. These are ohhhh so squishy and comfortable! You will also feel the tremendous arch support which I have never found in flip flops or sandals before. This is such a welcomed feeling since I suffer from plantar fasciitis and the arch support alleviates this pain and is feels great under my high arches. At Ludington State Park, I spent a lot of hours hiking and jogging so after long periods of exercise, I slipped on these shoes and got amazing relief and comfort as if I was walking on clouds. The sandals are roomy and comfortable and I didn’t feel like the strap was too tight or too loose across my foot. The size I ordered ran true to the size and width I normally wear. There are lots of color and style choices that will appeal to a wide range of people. I choose the marsala color and really like the way they look. The price may be higher than other brands of flip flops or sandals but I think you will be amazed and the ergonomics design of this shoe that is also stylish and so comfortable. I did have a bit of trouble adjusting to the strap that runs between my toes as it was wider than what I was used to. But after a few days my feet seemed to adjust and all was well. Another reason to buy a pair is that this company donates $10 of every pair of the Project Pink collection sold to breast cancer treatment research. You just have to love a company with a philanthropic attitude. I would definitely recommend these shoes for anyone, especially those with foot pain and wanting extra support. They were recommended to me and I want to pass on that recommendation as they are everything as advertised on the website. This is a very nice county park with and we really enjoyed camping here. We came to the area to visit the John Deere factory and other Davenport/Moline attractions (and found there is lots to do in the area). We did not have a reservation and showed up on a Saturday but figured since it was a cold rainy weekend in late October we wouldn’t have a problem finding a site. You pull in, pick out a site and then pay later when the office is open. Some campsites have gravel driveways while others are paved but all have a paved patio and will accommodate any length RV. The paved sites are more popular so there was less choice but we found a spot. It seemed most of the sites were occupied by local weekend campers who left on Sunday (check out is 3 pm which gives you a longer weekend stay). All sites are 50 amp full hook-up and have picnic tables and fire pits with grill grates. There are 13 non-electric tent sites that are in a grassy area towards the back of the campground with two pit toilets located nearby. The campground is nicely treed but not too much that it is hard getting RV’s in and out of sites. The campground is open year-round but they shut of the water spigots around the end of October (depending on the weather). There is a 14-day maximum stay which prevents seasonal or permanent people from taking up residence. Our Verizon phone only got 3G and a couple two bars. The over-the-air antenna picked up about two dozen and three major networks. The campground sits in a 620-acre park which has lots of things to do including a 24-hole disk golf course, playgrounds, four lakes for fishing or boating (which you can rent and only electric motors allowed in the lakes), a swim beach, picnic pavilions, concessions, hiking trails, boat ramp, and volleyball. This park was great for walking our dog as there are many miles of trails along the lakes and in the woods which were not heavily used (but we were there in late October and not the busy summer season). The payment process was a little confusing. Instead of having an envelope to put your money in, you are supposed to come to the office when they open. The sign on the door indicated they would be back at 3 pm. but nobody was there at that time. About 4 o’clock a ranger knocked on our door and told us to come pay. They are a little vague about the office hours because the next day we went back around 3:00 and nobody was there. Overall, we really liked this park and would definitely stay here again if we were in the area. As a Ranger for The Dyrt, I get to test outdoor products and gear and during this trip I tested a variety of foods from Mountain House. They offer a wide variety of foods from deserts, entrees, breakfast, and sides and a variety of flavors. I liked that they have the nutritional information online so you can see what you are getting before purchasing. Many of their items come in different sizes so you can have a packet that feeds two or three or just a single serving. They also have reviews so you can see what other people liked. I choose an assortment of flavors including apple crisp, ice cream sandwich, beef stew, and beef mac and cheese. The instructions on the packet are clear and easy to follow. The Breakfast Skillet appealed to me because it has all the breakfast components I like – eggs, sausage, peppers, and hash browns. This meal was power packed full of 12 grams of protein but had a whopping 21 grams of fat so I wouldn’t be eating this every morning. I thought this might be a little mushy but there really was a good texture contrast and you could taste the individual components. Preparing it was pretty simple - just add ¾ cup of water, stir and let it heat for 8 minutes (stirring once during that time) and you have a piping hot delicious breakfast. I am a fan of ice cream sandwiches and was skeptical as to how this item was going to taste. But, it really did have the flavor of a frozen ice cream sandwich but won’t melt on you on a hot day. Best of all, you just open the pouch and start eating. It is a nice way to take a desert with you on camping trip that doesn’t take up too much space. The chili mac with beef was one of the highest rated meals on their website so I thought I should give it a try. It was really tasty, hearty, and filling. A small portion of the noodles didn’t seem to rehydrate all the way through and were a little chewy. Next time I would stir the contents twice while it was heating up. All in all, it was very good and I would definitely order this again. I could see adding salsa to give it a little zip. While Mountain House offers a pretty good selection of items, I wish they had some hearty soups options. Overall, I would order from this company again and found the food tasty and convenient. The food tasted as you would expect from the product description and the online ordering process was easy. This campground is located in West Lake Park about 5 miles from downtown Davenport. There are two campgrounds – Summit and Park Terrace. Summit campground is water and electric; whereas, Park Terrace is full hook-up. West Lake Park has lots to do and is a great place to come with kids. There are multiple large playgrounds, a disk golf course, large sandy swim beach, a concession stand, four lakes with boat rentals, and plenty of miles of hiking trails. We stayed at this campground for two nights before it closed for the season and then moved to Park Terrace because it is open year-round. All sites are long pull-thrus capable of fitting any size RV. All sites are paved with gravel patios (except for a few of them that may have been ADA sites). They were all level with mature trees that provided would provide shade during the summer. The campground is first come, first served but we called ahead to see how full they expected the campground to be and told us it would not be a problem, but we were set to arrive on a Tuesday in late October so this was not really the busy season. Sites are nice long pull thrus but we didn’t see any specific tent sites. Check out is 3 p.m. so don’t plan on arriving early if you are coming on a busy summer weekend. You enter the campground in Gate 1 but have to register at the campground office at Gate 5. Our site #105 was a nice long site with water and electric hookups that were spaced well. Fire pits at this campground are well-placed in your patio area just outside your door. We loved all that there was to do at this campground especially the hiking and kayaking. Had we been here during the busy summer season I don’t know if we would have liked it so much but we definitely loved the quiet fall season. This park is a very nice RV park. All 257 sites are full hook-up (with cable), level, and have paved patios and for a $2 up charge you can get a paved site. Our site was super long (over 100’) and had a nice view of the large pond. There is pretty good separation between sites and on one side of us were large bushes that added privacy from our neighbors and the adjacent pathway. There are tent sites set off along one area of the park near the bathrooms. There are a few trees among the tent sites but they are not very private and located near the garbage dumpsters/recycle bins and on a main exit thoroughfare. There are also three “haciendas” for rent. One of my favorite features of the campground was the fitness center. Poncho and his wife are triathletes so the facility is top notch with weight machines, free weights, cycles, treadmills, elliptical, medicine balls, and lots of bands. There are three heated pool on the property – two outdoor and one indoor with and two spas. Since we were there in mid-October the outdoor pools were closed but the indoor hot tub and pool were open (albeit, super crowded on the weekend with kids). There are two laundry rooms and three bathrooms that are very modern and clean. One of the cable television stations displays security camera footage around the property which was nice because I could see how full the laundry was before carrying all my stuff there. There is a game room for kids, playground, shuffleboard, and a clubhouse. There is a stocked pond on the property but it is only for kids (17 and under) to fish in. Cable television yielded 55 channels and WiFi was available at our site with a decent signal. The campground is very well-maintained with nicely mowed grass. The grounds crew was always working but they were not annoying with constant loud machines. There is a railroad track that runs behind the park but it does not get a lot of use so the noise was not too bad. If you don’t want to be near the tracks, ask for a site away from the south side of the park. There is an off-leash dog park but it really is too small and narrow for big dogs. The campground is very convenient to lots of shopping and restaurants and within walking distance of a McDonalds, fruit market, drug store and grocery. Downtown Ludington is only about five minutes away which has a cute downtown with shopping, galleries, and restaurants. Ludington State Park is about 15 minutes away and has miles and miles of hiking trails and beach access. There is also a city park downtown which is along Lake Michigan with beach access and lots of room for a nice walk (but dogs are not allowed). The office staff was super helpful pointed out places to hike and things to do for the weekend. Also loved that they gave us a choice of sites and let us drive around the campground (in their golf cart) and pick out the one we wanted. We camped here in an RV and really couldn’t find anything we didn’t like about it. New customers get a 10% discount and during our stay we fell into low season and nightly rates were discounted 50%. So for $28/night we got a really nice site with lots of amenities in a great location. If you are looking for a nice RV park at a great price near a nice coastal Michigan town, give this place a try. After one visit, this became one of my favorite state parks. This is one of Missouri’s’ “trout parks” with a hatchery and release sites so fishing (which actually becomes catching) is a big draw. Bennett Spring is so serious about their fishing they even have a trout cam so you can watch other anglers testing their skills. When we pulled into the campground and picked out a super sweet paved full hook-up site we let out a sigh of approval and knew we were going to really like it there for a few days. The park has 143 campsites comprised of five loops so there are a wide variety of camping options, from basic to sewer/electric/water sites with some being reserveable to first come, first serve. There are wooded sites and those in the open where you are close enough to the fishing action to watch anglers from your RV. In addition to camping, there are 65 other lodging units which are cabins, duplex/fourplexes, and motel rooms. We came to camp, fish, and hike but there is also canoeing, floating, a nature center and museum, trout hatchery, dining facilities, a church, Olympic-size swimming pool, and much more. When I wasn’t wading in the water with a wet line, we were walking through the woods. The park has over twenty miles of hiking trails meandering through its 3,216 acres. Trails range from a leisurely walk along the stream to that of rigorous mountain trails that reward hikers with great picturesque views of the Ozark Mountains. Guided ranger-led tours are also available for those wanting a little more information on your walk. The camp store is quite large with everything from food to souvenirs. For Anglers this is where you get your fishing permit and advice on the best lures to use (of which they have a large selection). One aspect of this park that is so appealing is the historical character that came from the Civilian Conservation Corps (CCC) improvements made back in the 1930’s. They built a dam, arched bridge, cabins and shelters, dining lodge, roads, and trails. The CCC influence is obvious when looking at the dining lodge with its stone and wood exterior and post and beam interior that stands the test of time and emits rustic charm. The dining lodge still performs its original function and is popular among visitors (especially those who want to have their freshly-caught trout prepared for them). Some state parks are remote and have a quiet and tranquil feel. This park has a lot going on so that is probably not the case in the busy summer season. When we were there in early April the park’s campgrounds were pretty empty and quiet and while we really liked that we also liked that there was a lot to do. Our three days passed quickly and we would definitely come back. This is a nice KOA with nice facilities and amenities. We camped there in the July and our first impression when we drove in was “wow, this place is busy!” It is a very family-friendly park and you feel like every other site is having a family reunion with so many people at each site. We were assigned a pull-thru in a spot where most of the campers were transients. (There is another section that appears to be most of the seasonal campers.) Getting to the site in our RV was a little tricky because of all the trees and cars parked everywhere. The site was level, paved and had a paved patio and was full hook-up with cable and WiFi (which worked well at our site). The park is a typical KOA with tons of amenities and things going on. We chose not to use the pool because it was overrun with kids and seemed way too small for the number of people in the park. There is an off-leash dog park but it was pretty small for our lab to get a good run in. The laundry was nice and clean but a bit expensive $2.25 per load. When we checked in the staff raved about the onsite KOA café’s pizza but we didn't try it. The park is very convenient to downtown Petoskey but the traffic on Hwy. 31 can be horrible at peak times. It is also close to Petoskey State Park and the Oden State Fish Hatchery (which has trails and a great place to visit). There are lots of breweries in the area, a great farmers market, and really good restaurants. We personally loved Beards Brewery, Palette Bistro, and the Crooked Tree Bakery. There is a great paved biking trail located nearby that runs from Charlevoix to Harbor Springs. What we liked about this campground was the comfortable feel of being at a state park with plenty of trees, hiking trails, space between sites, but also the convenience of having a level, paved site with electricity and television/phone reception. We happened to be there during the week in the fall so there were not many other campers. This gave the park the quiet feel we like so much. There are miles of hiking and biking trails right outside your doorstep and plenty of woods to explore. The park is located about 10 miles from where my parents live so we come here a couple of times a year. The campground has 30 basic and 43 electric sites (which are either 50 amp or 30 amp). There is no sewer or water at individual sites but water spigots are scattered throughout the campground and there is a dump station with potable water fill-up. All campsites and patios are paved and level with a comfortable amount of space between sites. Picnic tables and fire pits are located at each site. Sites are a mix of shaded, partial-shade, and full sun. The roads are paved and big rig-friendly (with the exception of one loop that is clearly marked “short turning radius”). Sites 13-33 are popular open and sunny campsites with nice grassy areas between them. In contrast sites 52-75 are much more treed and have a private feel to them. It seems this is where most of the tent campers like to be. These sites are farther from the main bathhouse but there is a pit toilet in that loop. There is one main bathhouse with free showers that was very clean. There are also two vault toilets located in the campground. The campground is open year-round but the bathhouse with flush toilets closes November 1 and doesn’t open until the spring. During the winter the only water spigot is available located near the camp hosts at site #36. Our Verizon 4G phone and hotspot worked great. We were able to get satellite reception at our site (#24) and the antenna picked up a dozen or so local channels including all the major networks. This is one of the few state park campgrounds that we have visited that has WiFi (and that actually worked well). We love the setting of this park and how you feel like you are in a nice wooded setting but not too far from surrounding amenities. It is an 868-acre urban park with miles of hiking/paved biking/equestrian trails, picnic shelters, a playground, and ball fields. There is a visitor center with exhibits and an amphitheater in the campground where interpretive programs are held. You can reserve sites on-line and the prices are reasonable. A $2 discount is given to seniors. We love this park and would definitely recommend it to anyone coming through the area. Not all sites are long enough for large RVs and the roads in some loops prevent you from turning around. The camp hosts we encountered are very helpful and have a list of site lengths and can tell you which ones are appropriate for large RVs. If this campground had sewer and water, it would get 5 stars. This is one of many small primitive campgrounds located in the state forest of Michigan’s Upper Peninsula. All 35 sites are on a first-come, first-serve basis with a self-pay registration station. There are no utilities at individual campsites but vault toilets and potable water is on site. The park seems to draw people who like to fish in Perch Lake which has a boat launch conveniently located in the campground. We were surprised how quiet it was for the time of year we were there in the summer. Many sites were empty albeit we were there for just two nights during the week. Some of the sites (especially those overlooking the lake) are beautiful and quite relaxing. Tall trees offered nice shade as we experienced some warm days while in the area. This is a really nice place if you are in the area and want to get away from crowds. This campground was a total contrast to the nearby Lake Muskallonge State Park which was crazy busy with lots of sites and tons of people. There are many gravel/dirt roads leading in the area and is big for people traveling in ORV. This park is located about 15 minutes from the town of Marquette and is a great alternative if you can’t get a site in the Marquette Tourist Park (which is closer to town and very popular in the summer). It is located off US-41 which is a major Upper Peninsula thoroughfare but set back about ½ miles so you don’t get road noise but it is still convenient. The campground is located behind (and within walking distance of) a shopping area that has a meat market, grocery, gas station, movie theater, bowling alley, a few restaurants and a brewery (which has good, inexpensive beer and food). It is also located next to an RV dealer/service center/camp store which is convenient if you need anything. Nearby are some interesting museums including the National Ski and Snowboard Hall of Fame and the Michigan Iron Museum. You are only about 20 minutes from the town of Marquette which is worth a visit. The park and facilities are well-maintained. The restrooms were super clean as was the pool and all the grounds. The people in the office were super nice in helping us pick a site and with information about the area. The park has over 105 RV sites with varying services and some being held by seasonal people. There are lots of amenities (which we did not use) including swimming pool, hot tub, playground, basketball courts, and more. The pool was super crowded and noisy so if you don’t want to hear kids screaming, stay away from sites close to the pool. The park does not take online reservations so you must call them directly. We were assigned site #104 but could tell our motorhome was not going to get level in the site so we had to straddle the site and park partly in the adjacent grassy area. Luckily, the ground was dry to we didn’t make any deep ruts. Our site did have a nice shade tree on the patio which was welcomed because of the hot weather. The WiFi never worked at our site. We were able to get a clear view of the sky for our satellite television. When you first enter the campground you pass by the Pere Marquette River which is a big draw because it is known for great salmon and trout fishing. The park is located in Scottville which is a tiny town but you are only 15 minutes from the Lake Michigan beach town of Ludington. The campground is fairly small (50 sites) but well laid out and will fit any camping unit from tents to large RVs. There are primitive sites and those with electric, water, cable, picnic tables & fire pits. There is a nice, new bathroom that was kept clean. The campground has a very open feel to it with trees on the outskirts. The openness and warm sunshine was appreciated when we were there in late October and experiencing cooler weather. Campsites are on grass and most were in pretty good shape and not too muddy even though we were there at the end of the camping season. For a little park, this place has a lot of amenities including swimming pools, convenience store (with ice cream treats for $1), playground, basketball, volleyball, horseshoe pits, fishing, paddling, disc golf, shuffle board, laundry rooms, and clean restrooms. The best part for us was the access to the river for kayaking. There are many nearby rental and livery companies for those that do not have their own watercraft. If you are looking for good hiking trails check out Ludington State Park and the Huron-Manistee National Forest – both of which also have camping. Overall, we really liked this little park. There were just a handful of sites occupied during our stay which made it nice and quiet. The main reason we wanted to come to this park was to hike the trails and experience the famous swinging bridge that takes you over the St. Louis River and the rushing rapids below and rocky gorge below. The park dates back to the early 1900’s and its historic character comes from the influence of the Civilian Conservation Corps who made improvements to the park in the 1930’s and 40’s. The park has an 82-site campground and LOTS of activities to keep adults and kids busy. The campground is what you would expect in a state park with tall trees, shady sites, lots of activities, and popular with families. Roads and sites are gravel and each site has a picnic table and fire pit. Some campsites are long and suited for large RV’s while others are more rustic tent sites and there are 5 cabins for rent. Twenty-one sites have electric hook-ups. If you are looking for more rustic, remote tent sites there are some hike-in sites. Four sites are located 1 to 4 miles from parking area where each site has picnic table, fire ring and latrine but water must be hauled in. About half of the sites are reservable online with the others being first come, first served. What we liked was that this park was very well cared as sites and facilities were very clean. Tall trees provided nice shade and campsites were well-spaced so you didn’t feel like you were on top of your neighbor. There is lots to do in this park and we were sorry we didn’t have more time to spend. Activities include hiking (over 50 miles of trails including a stretch of the North Country National Scenic Trail), 8 miles of biking trails, 30+ miles of cross-country ski trails, kayaking and fishing. The park offers hundreds of naturalist programs including nature walks, evening campfire talks, fishing programs, and geocaching. Just a short drive north of the state park is Gordy’s High Hat which is a famous hamburger joint that has been around for years and still draws a massive crowd. There is a big enough parking lot to pull your RV into if you need to. Food was great and cheap! Even if you don’t camp in this park, I think it is well worth the $7/daily admission fee to spend a day enjoying all this place has to offer. A big draw of this state park is the viewing on of this areas many waterfalls. A popular 2.2 mile (round-trip) trail leads from the parking lot upstream along the Brule River to “Devil's Kettle.” The river splits around a mass of volcanic rock leaving half the river to plunge 50 feet into a pool while the other half surges into a huge pothole. The trail is dog-friendly so bring Fido but it can be crowded too so you may want to go early. The trail is considered “strenuous” and has nearly 200 stairs that need to be climbed but it was not bad and worth the trip. The Brule River is very popular among anglers where brook and rainbow trout are said to be plentiful and I regretted not bringing my fly rod along for the trip. The campground is small with just 27 drive-in sites for RVs or tents and one walk-in tent site. The first thing you notice is how wooded the campground is which is very welcome on the warm summer days. The tall trees also provide a bit of privacy between sites and you get the feel of being tucked back in the woods. Picnic tables and fire pits (with grills) are at each site. Sites are without any hook-ups but there is potable water in the campground. The bathroom was nice and clean with flush toilets and showers. During our stay, we routinely saw staff attending to the bathrooms and other campers were courteous and didn’t trash the place. The campground is very peaceful and quiet when we were there. Part of that is probably due to its small size and little traffic. There are numerous other great state parks in the area with gorgeous waterfalls and hiking. The aspect of this campground we liked the best was that we could walk to town. The campground itself is o.k. It was full when we were and definitely felt crowded. There are some tent sites up in a wooded secluded area but most of the park is geared to RVs. Or you can pitch pitching your tent amongst RVs. Tucked up in the woods is a small tent area that is nice and quiet but a little far from the bathrooms so be prepared to walk. There are 300 campsites of with full hookups, some with electric and water hookups and others no hookups. Some site have great views of Lake Superior, some are sunny and open and others have some large trees. Our site (#104) was very close to our neighbors and the RV right behind us and we had a big tree right in our “patio” which was not conducive to sitting outside. We had a 50 amp full hook-up site which all worked well and well-placed in the site. The campground is county-run and a mix of seasonal people (lots of whom appeared to be there for the fishing) and transients like ourselves. One aspect of seasonal campers that I don’t like is how they junk up their site and this certainly had that. There are four bathhouses on the property some of which are pretty old and tired whereas others are larger and more updated. The bathroom near us was large but was heavily used (which is an understatement) as four tour-size busloads of college students exiting the boundary waters spent the night in tents near it. It was pretty trashed with that volume of people. Since the park is pretty large they have amenities like baseball fields, playground, group camping sections, a beach with picnic area, fish cleaning station, and nearby boat launch. A short walk to downtown and you have restaurants, shopping, grocery, fuel, pretty harbor, art galleries, bait shops, and more. One of the most highly touted places in Grand Marais is World’s Best Donuts. Even before we got to Grand Marais, people in other parts of Minnesota told us about it. The donuts were really good but beware their closing hour is when they sell out which is why we went really early. We also ate at The Crooked Spoon Cafe and had an amazing meal. Nearby Grand Marais are a scattering of state parks known for their waterfalls which are worth seeing. Many people come here because it is close to the Boundary Waters Canoe Area Wilderness but since we just came from the town of Ely we did not go back to the boundary waters. We liked this area and kept busy for the three days we were there but couldn’t see staying long-term. Petes Lake is a great campground tucked in the Hiawatha National Forest. The campground is located about 15 minutes south of Munising. We stayed in Munising at a private RV park for a few days before discovering this place and fell in love with it. The campground has only 41 sites but because they are well-spaced and heavily treed you have some privacy and don’t feel cramped. If you want a campsite right on the water, look at sites 4a and 5a. Sites 7a and 8a are walk-in tent sites having lots of privacy. There are plenty of sites that are long and level enough to fit large RVs you just have to be mindful there are lots of trees. The main roads in the campground are paved and wide enough to maneuver. Campsites have no utilities but there are vault toilets and potable water. Picnic tables and fire pits are at each site and you are allowed to collect firewood from dead and downed trees (which I love since I am a campfire lover). Be aware that there are only two vehicles allowed per site and you will be charged $6/vehicle/night. Since this is a National Forest campground, senior pass holders get ½ off camping making this a bargain at $9/night. For the outdoor enthusiast who is looking to get away and enjoy the outdoors this place is great. It is set on the 190-acre Petes Lake where you have a swim beach, boat launch and fishing piers. We spent a couple of hours paddling the lake which was very peaceful. Running through the campground is the Bruno’s Run Trail – a 9-mile trail traversing the woods and around small ponds. This was a great trail except for some pesky bugs that started annoying us as we heated up. Our dog loved the hike because we passed a couple of ponds letting her cool off and get a drink. We only encountered four mountain bikers during our hike which was nice compared to the crowded trails in the nearby Pictured Rocks National Lakeshore. We would definitely come back to this campground and it would be a 5-star if it had hook-ups for our RV. The main attraction in Munising is Pictured Rocks National Lakeshore. If you can’t get into the campgrounds in Pictured Rocks this site is a good alternative due to its proximity (three miles) the downtown and the entrance to the park. The campground is located right on Lake Superior so some of the sites have great water views and you have access to the lake for swimming and boating. Waterfront sites are great but when we were there it was really windy as the north winds were blowing hard off the lake. This is one of those parks that really fills up in the summer, so book early (which you can do online). The park has 127 sites that are a mix of tent, water/electric, and water/electric/sewer and it seems like sites are placed haphazardly and are close to your neighbor. In some ways, the quality of your stay depends on your site. When we were there it had rained the day prior and some sites were really wet and muddy making it hard to go from your car to camper. The park is on M-28 so it is easy to get in and out of but means that sites along the road are noisy as this is a heavily traveled road. There is a little store in office that sells wood for $7 but we found it cheaper down the street. They advertise free WiFi but we were never able to get a good connection so we gave up and used our Verizon hotspot (which worked well). Our intention was to put our kayaks in the lake and paddle around Pictured Rocks NL but upon learning how dangerous that can be in our recreational kayaks we opted for a sunset boat cruise instead. This was a good option and we loved the narrated 2 ½ - hour cruise. Unfortunately, it was completely overcast and the cliffs were not as colorful as they would be if the sun had been out. There are lots of waterfalls in the area and since there had been lots of rain prior to our visit they were pretty spectacular. Definitely plan on spending time hiking in Pictured Rocks NL but beware there are lots of restrictions on where dogs can go (basically just developed areas like parking lots and campgrounds). The nearby Hiawatha National Forest is a great place for hiking and paddling. Another paddling option is the Au Train Canoe Trail which is close to the campground and has a public boat launch.